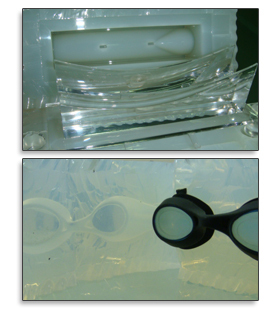 We use prototype master to make a precise RTV (room temperature vulcanization) mold with silicon materials. And then fill with PU (polyurethane) plastics through vacuum casting machine, every kind of plastic work in different properties can be produced and satisfy the need of small quantities in a short time. The major advantages of RTV are its simplicity, low cost, and short lead time. It brings a lot of benefits from speed, quality and quantity respects.